What's Up? The Space Place: What the Pluto? 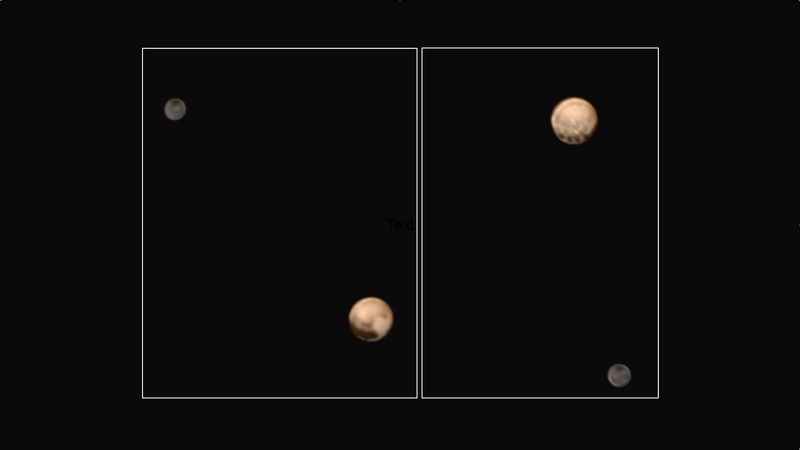 Take a look at the four evenly spaced spots on the pic of Pluto below, right, the latest from New Horizons. What the????? Oh, and don't overlook the dark spot on the moon Charon in both frames..
Jeez, what a system we are going to see better and better each day to close encounter on the 14th. Get more pics and details here.